Travel to South America has become increasingly popular with American travelers and Brazil is a particularly hot destination due to it’s lively culture and diversity. There are gorgeous beaches and lush jungles with plenty of heat–and I mean that in a good way! 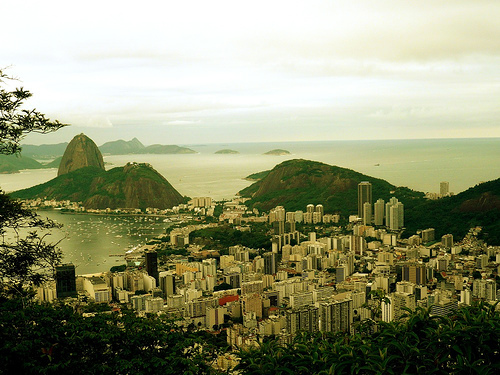 Probably the most popular and well known city in Brazil is Rio de Janeiro. It is a party destination unlike any other with carnivals and New Years Eve celebrations that are unrivaled. The beaches are gorgeous and anyone who considers themselves a sun worshiper would be at home there. The city is alive with music, food, dancing, and excitement! São Paulo is Brazil’s largest city, and one of the largest cities in the world with a population well over 10 million. It is home to the internationally recognized São Paulo fashion week, and is the seat of Brazil’s economy. It has a hugely diverse population and a huge art and theater community. If beaches are your number one interest, then check out Santa Catarina, a southern Brazil state that is close to over 500 gorgeous beaches. It is also a seasonal destination with the only snow to be found in the country. Fortaleza, however, stays warm throughout the year with a typical tropical climate. The warm water in the area attracts many tourists and surfers. It has an active nightlife and many festivals throughout the year. Salvador is a northeastern city with the longest stretch of coastline of any city. The British newspaper The Guardian named one of the local Salvador beaches (Porto da Barra) the third best in the world. It is reknowned for it’s architechture and shopping. Brazil offers everything that a traveler is after: culture, cuisine, diversity, art, architecture, shopping, and beautiful landscapes. Consider a trip down south for your next getaway!